Welcome to Purba's Library! I have a sleeping disorder and that is called READING. This blog is mostly dedicated to books and occasionally to movies and music. Happily ever afters are easier said than done. How do we choose the right partner, and how do we sustain that relationship so it lasts a lifetime? Spiritual life coach Shubha Vilas tells you how, with the help of six beautiful love stories from the scriptures. Nala and Damayanti, Krishna and Rukmini, Shakuntala and Dushyanta, Udayana and Vasavadatta, Satyavan and Savitri, Draupadi and the five Pandava brothers—these are accounts we may have heard many a time but have not had an opportunity to understand in such depth and detail, and with such empathy. But why 5.5 ways and not 6? Because the sixth way is a half-truth, which can be twisted either way. Combining powerful story-telling with deep philosophical truths, Perfect Love is a treasure trove of scriptural wisdom for the modern age. 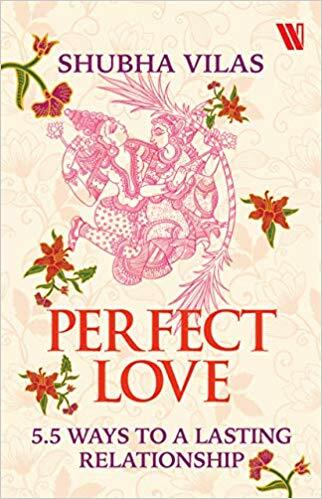 "Perfect Love" by Shubha Vilas is a book that has plenty to offer its readers. It does not only teach how to have a long lasting relationship with your partner but makes you feel good about the world that you live in. In this digital world, we often feel that maintaining relationships have become tougher, but reading this book will change your perspective. Through 6 classic Vedic stories, the author has imparted his knowledge in maintaining relationships. In Nala and Damyanti's story, the author has shown the importance of forgiveness in a relationship. He says that tolerate first and then forgive. Mistakes are committed by human beings. Even a person with the best qualities can commit an unbelievable mistake. If the relationship is important, you must learn to forgive. "Forgiveness comes between bitterness and betterness. The second story is about Krishna and Rukmini. It is one of my favorite stories in this collection. I loved the way the author has narrated this story. It was a treat to read Rukmini's letter to Krishna. Through this story, the author shows the importance of expressing your love. When a person uses the right words to express his or her love, it strengthens the relationship. The third story is about Dushyant and Shakuntala, where the importance of trusting your partner is shown. In the story of Udayana and Vasavadatta, the author has shown that good times in a relationship help tide over bad times. Therefore, it is extremely important to spend quality time with your partner. The fifth story is about Satyavan and Savitri. It is my another favorite story in this collection. Through Savitri, the author has shown the importance of determination to stay together in a relationship. The sixth story is about Draupadi and the Pandavas. Just like Satyabhama, I also wondered how Draupadi had a peaceful married life, despite having five husbands. This story shows that positive conditions can help a relationship blossom, whereas negative conditions can make a relationship wither away with time. "Perfect Love" is a book that will enlighten you, one story at a time. All the six stories have thrill and adventure, apart from romance. The book is embellished with plenty of beautiful and enriching quotes. The writing is refined and the editing is perfect. I am going with 4.5 and would love to recommend this book to everyone as it is filled with wisdom. I got a review copy from the author for an honest review. The opinions are my own. 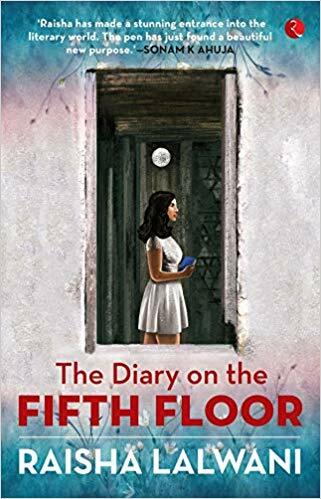 "The Diary on the Fifth Floor" is a philosophical book that deals with questions that all of us have contemplated about, at some point in our own lives. Of people we then become. Do we like who we have become? The book starts with the protagonist, Savannah Khanna paying a visit to a renowned psychiatrist of her city, Rama Berry because she feels she is extremely depressed. The reason for her depression is the insensitivity, cruelty, and selfishness that exists in the world. She cannot come to terms with why people are so cruel and insensitive. She writes on her diary about the things that she witnesses every day. She thinks that people need to know that their words hurt and their actions have consequences. Savannah gives her diary to her doctor so that the latter can help her. As Rama Berry reads Savannah's diary entries, we understand the mind and the heart of the protagonist. The diary entries are a collection of short stories of unfortunate incidents. Some of them have happened to the protagonist, whereas others have happened to people close to her. All the stories have one thing in common. They show the shallow and superficial mindset of people. External appearance matter more than anything else and updating Facebook status is more important than grieving the death of a family member. Trust is a misused word and selfishness has no limits. The way Rama Berry helps Savannah trace the silver lining behind the dark clouds is very touching. I liked the bonding of the doctor and the patient. All of us can learn something fruitful from the sessions. However, the ending of the book made me unhappy as I was really rooting for the protagonist. However, the unconventional plot and the brave writing made it a very special book that I read this year. If you have ever wondered what's wrong with the world and why people are so selfish, you must read this book. You will relate to it a lot and at the same time, learn how to cope with it. Highly recommended. I am going with 4 stars. 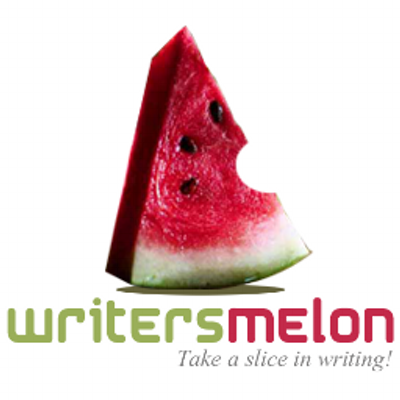 The book review is in association with Vinfluencers. Check out the video review on my YouTube Channel. 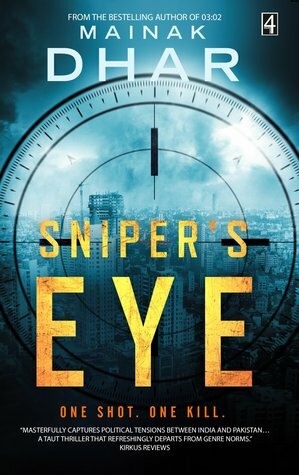 Sniper's Eye by Mainak Dhar is a fast-paced thriller set in Mumbai. The action thriller throws light on various important issues that you normally don't think about. The life of soldiers in the arms who are exploited by powerful people is shown through the messed up life of Aaditya. The reasons why some people are compelled to become terrorists despite having other plans is shown through the life of the sniper, Aman Karzai. The story begins with the protagonist of the book, Aaditya who is on a date with his girlfriend Zoya in a mall in Mumbai. A man falls dead in front of his eyes, killed by a sniper. This incident compels Aaditya to go back to his old life from which he was hiding for years. Now, he has to face his demons and deal with it. I loved the scenes between Aaditya and Zoya. Despite knowing Aaditya's past, the way Zoya supports him is very heart touching. The love story of Aaditya and Zoya was a whiff of fragrance in the midst of the serious action-driven plot. The book picks up momentum after 100 pages when it becomes unputdownable. Readers cannot wait to find out who is the mastermind behind the devious plot and the revelation will definitely shock readers. Things are not as they seem. The plotline of the book is intelligent and gripping. It establishes the fact that you cannot judge the book by its cover. The epilogue of the book left me a tad emotional. I liked the way the author evoked sympathy for Aman. The book is sprinkled with twists and turns. The language is lucid and the narration is fast-paced. On the flip-side, there were some typos in the book. I also felt there were some loose ends. If you love reading thrillers, you should give it a read. I am going with 4 stars. There are some books that can answer your questions and fill your heart with an abundance of peace. Where can one find God? What does one need to do for God realization? How to deal with the difficult moments of life? How can you be a yogi while sitting on a throne? 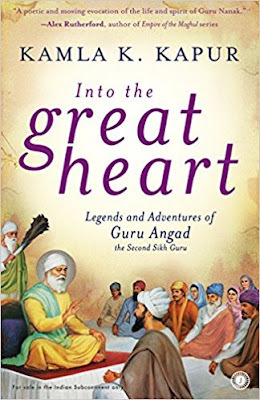 If you have contemplated about at least one of these questions in your life, "Into the Great Heart" by Kamla K. Kapur will definitely provide solace to you. It's a book that has the power to change you, your life, and the way you see the world. The book starts with Bhai Lehna meeting Guru Nanak and how their meeting transforms the former in incredible ways. The way Lehna is enthralled with Nanak's understanding of God is beautiful. "The sky is the plate; the moon and stars are the lamps and jewels; the forests of sandalwood are the temple incense; all the plants and flowers of the earth are offerings to you, O luminous Beloved, Lord of the Universe, destroyer of fear!" Instead of Guru Nanak's sons, Bhai Lehna becomes the successor of Guru Nanak who names him Guru Angad. In the scenes between Guru Nanak and Bhai Lehna, one can see the immense dedication and unflinching faith of a student towards his guru. The way Bhai Lehna surrenders himself to Guru Nanak so that his guru can mould his soul and enlighten him touches the right chords. The book is sprinkled with stories of Guru Nanak's life shared by Nanak's friend, Mardana and Buddha, a young boy and follower of Nanak. Each of these stories has nuggets of wisdom that one can apply to his or her life. I loved the way death is compared to the wedding with the Lord of the Universe. "In that house where the praises of the One are sang and the Doer of all is contemplated and celebrated, pour oil on the threshold for the pre-ordained wedding and sing songs of union with the Beloved. Bless death, which is a wedding. The summons comes for all. Remember the Summoner, and turn your sorrow into praise." The character of Guru Nanak's sister, Nanaki touched my heart. Her devotion towards Nanak and her metaphysical experiences were a treat to read. She and Nanak had a connection that was beyond words. Her wisdom, patience, and compassion are beautifully encapsulated in some of the chapters. "Within and beyond the whirling, sorrowing, conflicting, noisy circumstances of our lives, at the very center of it," Bebe Nanaki began, "is a holy place which is calm, unruffled, steady, and beyond birth and death. This place, within us, is the truest temple of all, the home of the Beloved, the only place worth making a pilgrimage to. All geographic pilgrimages to manmade places of worship are trivial and meaningless compared with it." I loved the character of Aziza, a young Muslim girl who faces oppression in her own family. When her freedom gets curbed, she transfers her love and energy to two things: music and God. I loved the friendship of Aziza and Buddha. The scenes between them were innocent, heartfelt and serene. The character of Bhai Lehna's daughter, Amro is equally beautiful. I loved the way she found a balance between her love for Maa Durga and her acceptance of God as formless. She did not abandon one belief for another. She harmoniously blended them with love. 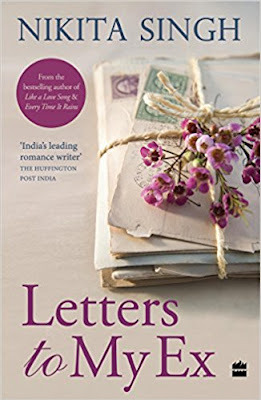 Letters to my Ex by Nikita Singh is an epistolary novel. We get to know the entire story through a collection of letters and online chats. The protagonist of the book, Nidhi starts writing these letters after she called off her engagement with her long-time boyfriend, Abhay. The exact reason why she called off the engagement and broke up with her boyfriend is revealed gradually through the letters. There is a letter or online chat in every month, starting from January to December. 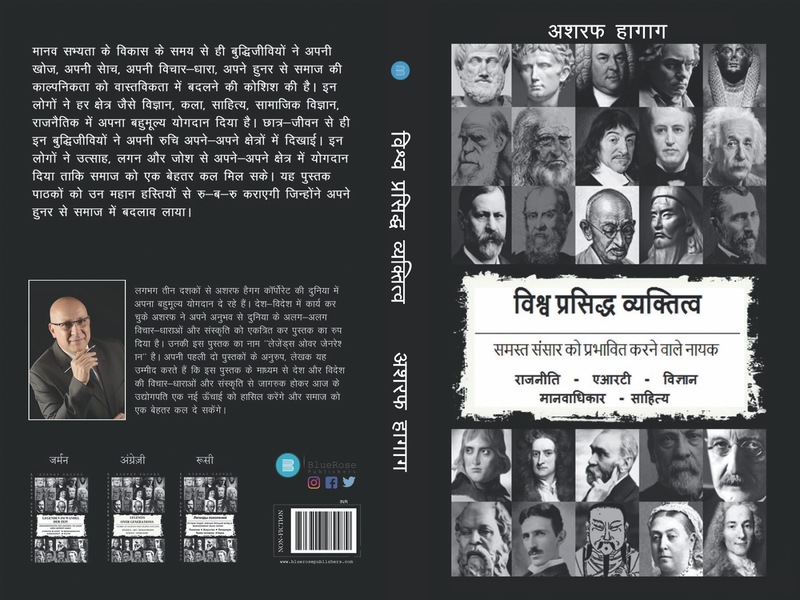 Although it is difficult to understand and like Nidhi in the initial chapters, we gradually understand her point of view and why she behaves a certain way. Abhay is a more likable character, but Nidhi has many layers to her personality. This is the reason the character of Nidhi fascinated me more than Abhay, who seemed to be a one-tone character. The letters are full of unadulterated emotions and at times, they seem repetitive. The author has tried to show the circular thought pattern of Nidhi through the letters. I liked the way the novel begins by generating a suspense around why Nidhi broke her engagement, despite being in love with Abhay. In the middle, the novel loses the pace and I found myself trying really hard to stay glued to the book. Again in the last thirty pages, it picked up the pace and surprised me with the ending. I really liked how the author chose to end the book. "You were my anchor in the little storms I seem to face constantly in my life. You grounded me when I was all over the place...I wish you were here." "The laughter we shared was a good distraction from the pain I was feeling in the pit of my stomach." "We are worth fighting for. When we come to that, I will always choose fight. But if I choose fight, you cannot choose flight. You cannot run away." However, I felt "Letters to my Ex" could have been so much better. The novel couldn't totally engross me into the lives of Nidhi and Abhay. Although I tried hard to feel for the characters, I wasn't able to do so. It dealt with a very important question: Can you trust the same person again who broke your trust? Letters are a great way to express emotions, but I felt a certain restraint here. Instead of the letters being repetitive, I wish they had a lot more depth. Having read Nikita Singh's earlier books, I feel sorry to say that this book couldn't meet my expectations. But it is a good one-time read especially for people who are in relationships or have recently broken up. I am going with 3 stars. A story of unconditional love and sacrifice! 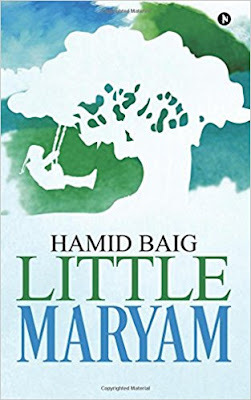 "Little Maryam" is a story of unconditional love that will surely move you, especially if you are a romantic at heart. It has all the ingredients to make your eyes moist as you think about how deep a person's love can be. The book rightly demonstrates that sacrifice is the highest form of love. The story starts with Saadiq Haider, a renowned gene therapist taking a flight to India. He meets journalist Anne Miller in the flight, who is deeply interested in his personal life. Although Anne's curiosity at first is fuelled by her professional goals, she soon gets deeply invested in Saadiq's story and promises him that she would not write about it. During the course of the flight from the US to India, Saadiq tells Anne his love story. Through Saadiq's eyes, both Anne and the readers meet Maryam and get to know their beautiful love story. Saadiq met little 9-year-old Maryam at the age of 14 and they instantly hit it off and became inseparable. After being together for years, they get separated when Saadiq gets jailed and Maryam gets married to someone else. After getting out of jail, Saadiq moves on in life with memories of Maryam. He becomes extremely successful, but when he gets to know about Maryam's accident, he immediately takes a flight back to India. After a span of over two decades, Saadiq and Maryam meet, but is it the last meeting or the start of a new journey? Or is it a mirage of unfulfilled dreams and hopes? What is the role of Saadiq in Maryam's life? Is he born to love her? Or is he born to protect her? The emotions of the two characters portrayed in the book by the author make you feel their pain and happiness. I especially loved the childhood moments of Maryam and Saadiq, which are beautifully written by the author. The innocence and love of the two characters will surely warm your heart. The narration is lucid and the story also maintains a good amount of suspense throughout that makes you want to keep turning the pages. However, as the story neared the end, it became a tad melodramatic. Certain elements were thrown into the plot deliberately to make the tragedy look like the greatest love story ever. Certain things seem a little unbelievable and forced, but it helps in making the book a tear-jerker. There are also a few typos which can be overlooked. The book ends beautifully with an excerpt from Saadiq's biography authored by Anne Miller. I am going with 4 stars and would like to recommend the book to anyone who wants to read a good romantic fiction. This love story will surely warm your heart and move you. Keep the tissues handy, if you are an emotional person. Show some love to my author page! 10 things that make Neerja a must watch biopic! Celebrating International Author's Day, 2016!